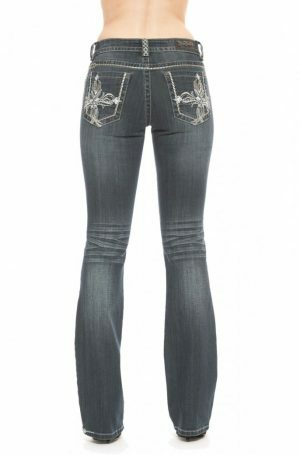 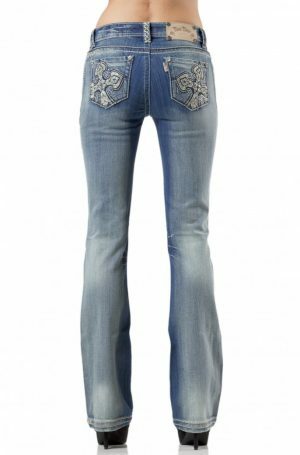 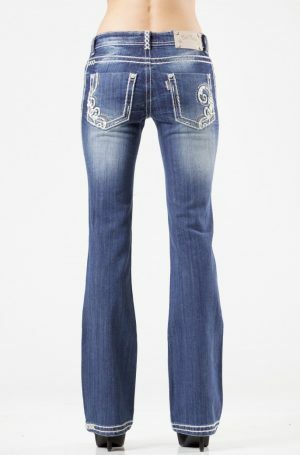 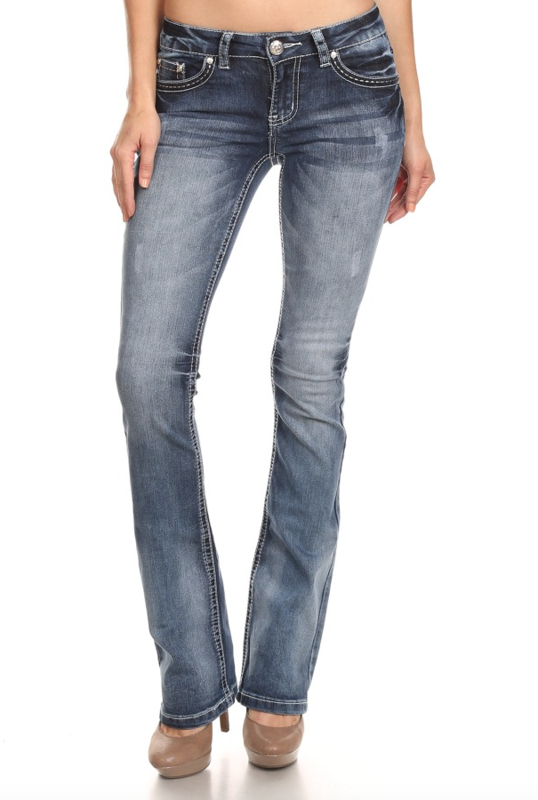 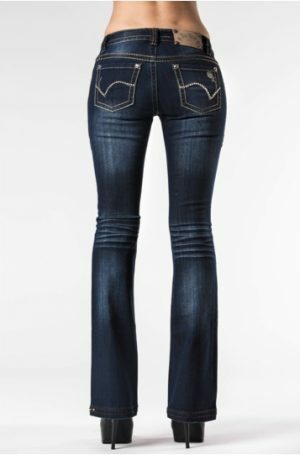 Medium wash bootcut jeans featuring rhinestone/stud Angel Wing pattern on back pockets. 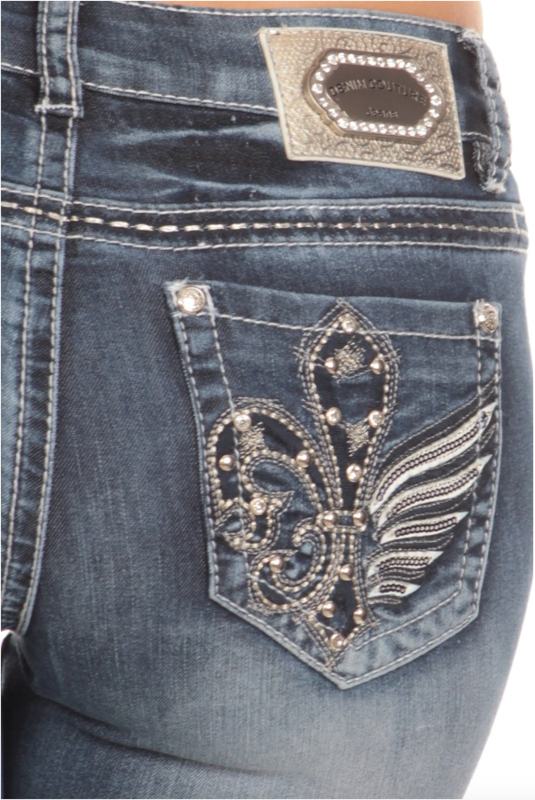 Beautiful detail for any occasion. Button and zipper closure.